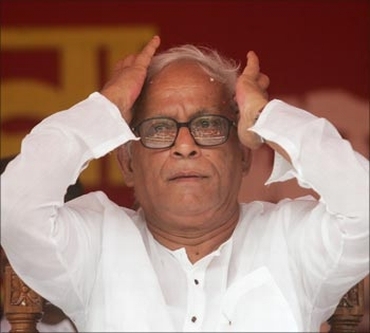 Rubbishing Trinamool Congress's links with Maoists as alleged in West Bengal Chief Minister Buddhadeb Bhattacherjee's letter to Home Minister P Chidambaram, Mamata Banerjee on Thursday said, "The chief minister himself is a Maoist leader." "The chief minister himself is a Maoist leader and is acting as a mask of the Maoists," Banerjee told reporters. Banerjee further claimed that a blueprint had been drawn up by the Communist Party of India - Marxist and Maoists to kill Trinamool workers prior to the coming assembly polls. She also demanded Bhattacharjee's resignation, as he had remained silent on the existence of armed CPI-M camps in his reply to the letter. "Chidambaram's letter is serious, but the chief minister's reply is casual and vague. There is no mention in the reply on the main issue of existence of CPI-M's armed camps," she said. "Bhattacharjee should quit as he has been brazenly violating the Constitution and unleashing state-sponsored terrorism in the name of curbing Maoists," she said. She said she was not objecting to curbing Maoist violence, "but the chief minister suppressed facts in his reply." Defending the use of the word 'harmard' in Chidambaram's letter in a reference to CPI-M's armed camps, Banerjee said, "They are of course harmards. Harmards are a type of mercenaries who move about with AK-47, stenguns, high explosives and lethal weapons. How else will I describe them?" Stating that Chidamabaram had only advised the state to follow 'Raj dharma', she said when there was 'state- sponsored terrorism' and violation of constitutional and fundamental rights of the people, "It is time to ask the state government to follow Raj dharma." "The spirit of Chidambaram's letter is to advise the government to follow Raj dharma. 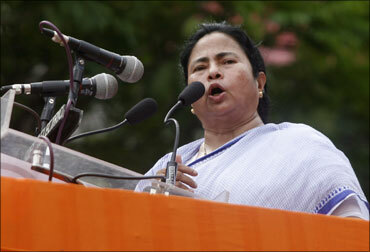 The Centre has acted within the parameters of the Constitution," Banerjee said. She said similar advice was given by the Centre to the Gujarat government during the 2002 riots. 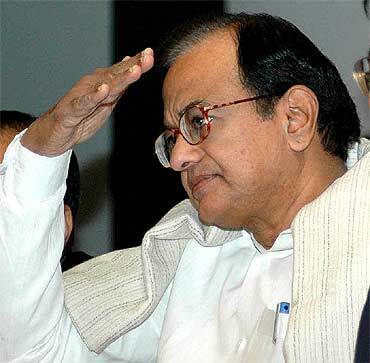 Earlier, Chidambaram had written to Bhattacharjee, asking him to ensure that all armed groups are dismantled, which the latter described as a partisan attempt to defame his government. What binds Mahatma, Mamata, Karuna and KCR?